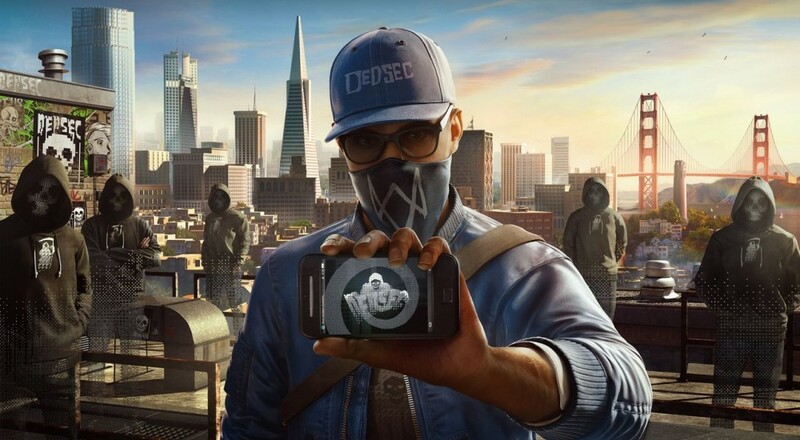 We're a week away from the console debut of Watch Dogs 2, and Ubisoft took to their blog last Wednesday to lay out their plans for all that post-launch content. If you pick up the Season Pass, you'll get all three of the planned DLC packages and a couple customization options that will let you change up Marcus' look. DLC 1: T-Bone Content Bundle - Players will get the style and the swagger of legendary hacker Raymond “T-Bone” Kenney with his truck and outfit and discover Mayhem, a new co-op difficulty level that will pit players against a new enemy archetype armed with advanced weaponry. DLC 2: Human Conditions- Hack your way through several hours of additional mission content in three new World Stories, and uncover San Francisco's biggest scientific scandals. In Human Conditions, players will also experience new elite co-op missions and face a new enemy type: Jammer, with the technology to hunt players down. DLC 3: No Compromise - Experience an all-new World Story that mixes Marcus up in the seedy underbelly of San Francisco’s x-rated movie scene - and puts him in the crosshairs of the Russian Mafia. You'll also gain access to an all-new Survival of the Fittest co-op mode (Showd0wn), with progressively increasing rewards. Replay again and again to earn the best in-game items! Along with this content, if you pick up the Season Pass, you also get the Root Access Bundle and Psychedelic Pack, which include new outfits,cars, a drone skins, and weapons. The Root Access Bundle will also include the Zodiac Killer mission. The Watch Dogs 2 Season Pass will run you an additional $39.99 if you picked up the standard edition (it's already included in the Gold edition of the game). No word on how much the DLC will cost individually, but the customization packs (i.e., Root Access and Psychedelic and whatever else they release) will cost you between $2.99 and $6.99 each. Page created in 0.4981 seconds.